Now that the Ohio House of Representatives has passed its (unbalanced) budget, new district-by-district funding projections for the 2018-2019 biennium have also been released. And, while the numbers are slightly better than the original proposal contained in Gov. John Kasich’s budget, overall, school funding remains far behind where it was for children in public school districts during the Great Recession. These projections — available now in our Comparing School Funding database — are based on all state revenue sent to districts, not just state aid. In 2019, the second year of the budget, districts will receive $447 million less than they received in 2011. 403 districts will see a funding drop in 2019 compared to 2011. Cleveland loses $168 million over biennium and is $90 million short in second year. The average Ohio district gets $1.3 million less over the 2018-2019 biennium, and $736,000 less in 2019 alone. So while media coverage has been quick to point out how the House version provides more revenue than what the Governor proposed, what nearly all reports neglect to mention is how inadequate both versions are at meeting student needs. 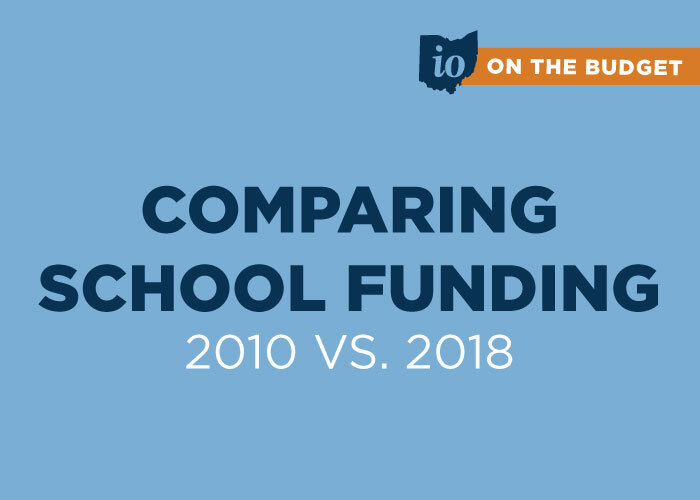 View the Comparing School Funding 2010 vs 2018 Database and see how your district could fare. Sign up to get our budget updates by email!